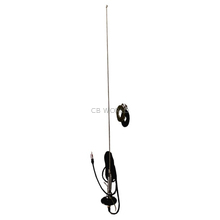 AM/FM Antennas at CB World! If you've damaged your current AM/FM antenna or want to get better performance than your stock AM/FM antenna, you've come to the right place. 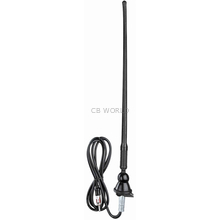 Here at CB World, we offer all sorts new AM/FM antennas for different vehicles and applications. 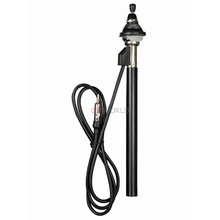 You will see AM/FM Power Antennas, AM/FM Windshield Antennas, AM/FM Roof Mount Antennas, AM/FM Mirror Mount Antennas, Freightliner Cascadia AM/FM Antennas, AM/FM Marine Antennas, and more! 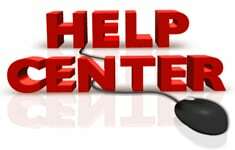 Take note that you might need an adapter or different mount in order to upgrade your current AM/FM antenna. 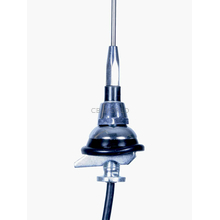 If you are having problems with AM/FM reception, you may be considering replacing your factory antenna. 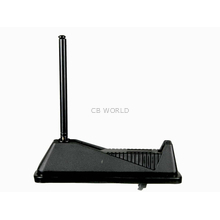 You will quickly discover that aftermarket antennas that mount in the same location and have the same slim design as the factory antennas will perform about the same. 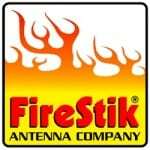 If you want a real performance upgrade, you should consider Firestik AM/FM antennas. 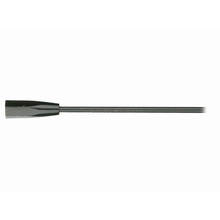 What makes Firestik AM/FM Antennas better? 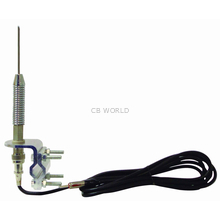 Firestik Antenna Company manufactures antennas, antenna mounts, coaxial cable, and antenna accessories right here in the United States. 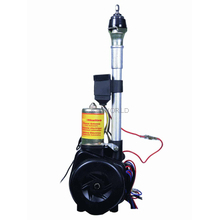 Firestik is widely known and highly regarded in the CB radio community. The problem with most factory AM/FM antennas is the very thing that makes them attractive in the first place: their slim, low-profile design. 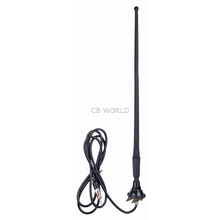 Slim whip antennas have very little surface area to capture radio signals. Firestik AM/FM antennas have a long wire wrapped around a fiberglass core that gives them much more surface area than a standard antenna. 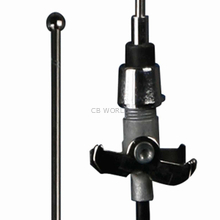 For example, a typical 30" wire straight wire antenna with a 1/8" diameter has about 11.8 sq. inches of surface area. 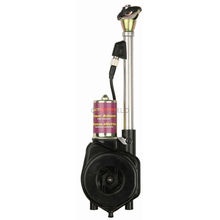 Firestik AM/FM antennas have a little over 300 inches of wire and a total surface area of about 21.3 sq. inches. That represents and increase of nearly 81%. 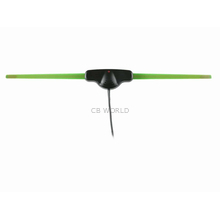 In spite of the available capture area, the antennas are extremely light with the 3 foot model weighing in at 4.8 oz (135 grams) and the 4 foot version weighing in at 5.7 oz (161 grams). You can find the antenna listed here. We have them in two lengths, but only one color (black). The taller antenna will get better reception. How much better? That depends on a great many factors. Essentially it is enough that you should go with the taller antenna unless you have a compelling reason not to. These antennas will mount on any 3/8" x 24 threaded mount. 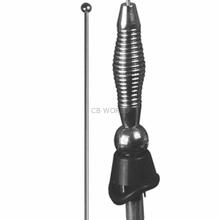 There are many, many options for mounting an antenna like this. The easiest way to narrow it down is to decide where you want to mount the antenna on your vehicle and search for the right mount from there. Common locations include the fender (hood/fender mount), stake hole mounts on a pickup, or L brackets attached to tool boxes, the body of the vehicle, headache racks, etc. 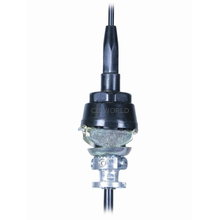 Once you have the mount picked out, you will need to get the right length of coax, with the correct connector. 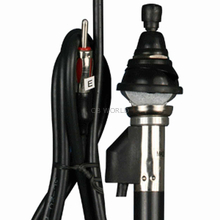 The mounts referenced above use one of two types of connectors; hoop (or lug) style or PL259 connectors. 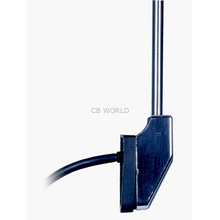 The length of the coax does not affect AM/FM like it does CB antennas, so just get a length that is closest to what you need for your install without coming up short. 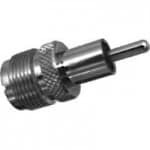 No matter which type connection your coax has for the mount, the other end of the coax will have a PL259 connector. Normally, this will screw into the back of a CB radio. For AM/FM radio, you will need this adapter. Installing a Firestik AM/FM antenna does require a little effort. The improvement in reception more than makes up for the investment. We regularly have customer report back with positive results from their upgrade.